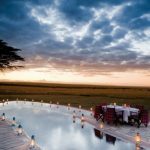 Experience an adventure-of-a-lifetime and one that the kids will recount and embellish to their friends as they tell tales of lions, elephants and wildebeest. The Selous Safari Company (www.selous.com) offers an unparalleled safari and beach experience in Tanzania across two camps and a resort, the perfect setting for an unforgettable family holiday. From the unspoilt natural wilderness of the Jongomero Camp, the only retreat found in the south-western sector of the Ruaha National Park, to the beach-front cottages at Ras Kutani, families can truly relax, safe in the knowledge that their every wish can be catered for, whether it’s canoeing in the Indian Ocean or camping under the stars in the Selous Game Reserve at Selous Safari Camp, one of Africa’s most awe-inspiring hidden gems. The private 4×4 Land Rover safaris at both Jongomero and Selous Safari Camp offer a great vantage point from which to take in the sights and sounds of the African bush. 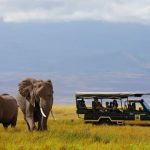 In addition, boat and walking safaris are available which offer a unique opportunity to spot wildlife in their natural habitat, from hippos and crocodiles in Lake Nzerakera to the elusive wild dogs found in the Ruaha National Park. For a large family group, the intimate Selous Safari Camp even offers a Private Camp which can be exclusively booked. 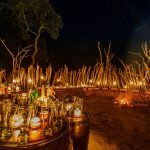 Accommodating between eight and 12 guests, it comes with full and private use of safari boats, vehicles and walking guides as well as a private dining and lounge area, along with a refreshing swimming pool. Younger members can share the accommodation with their parents, or they can have their own tent whilst at the camps, which comes complete with an ‘askari’ (guard) in case they get ’spooked’ by anything in the night. 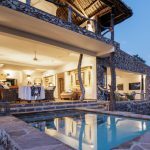 Whilst at Ras Kutani on the southern Tanzania coast, perched on top of the hill, the family house boasts plenty of privacy, space and stunning views of the Indian Ocean. Comprising two cottages and constructed of natural materials and furnishings that harmonise perfectly with the surroundings, this family-friendly retreat offers barefoot luxury in a picture perfect location. 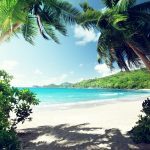 Ras Kutani is the perfect hideaway for those seeking a wealth of marine life with the chance to see colourful fish, dolphins, whales, turtles hatching (in season) and even a shipwreck. Complimentary snorkelling equipment, kayaks and boogie boards are available. Tanzania Odyssey (www.tanzaniaodyssey.com / 020 7471 8780) is offering three nights at Selous Safari Camp and four nights at Ras Kutani from £2,857 per adult (a saving of £398) and £1,818 per child (a saving of £233) based on four sharing, children must be aged between six and 11 years old. Valid for selected dates in June, September and October, the price includes scheduled flights, resort transfers, accommodation on a full-board basis, taxes and surcharges.